The phrase "form follows function" has morphed in meaning over time and is, perhaps rightly, open to interpretation. One interesting extension of this idea is that the form of a building can follow the functions of its constituent parts - that the visual result can reflect the process of construction and that this, in turn, makes the architecture more educational or "honest" - a way to learn the history of a building simply by taking a look at how it was made. 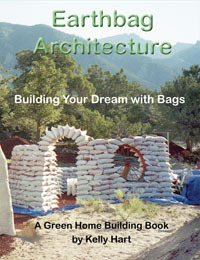 In addition to their do-it-yourself, easy-to-build and other sustainability-related benefits, "earth bag" homes - constructed of bags filled with local dirt, mud, sand and/or rock - are also potentially extremely expressive as works of design. Their structural properties and the ways in which they are stacked certainly preclude some design possibilities but they enable others. 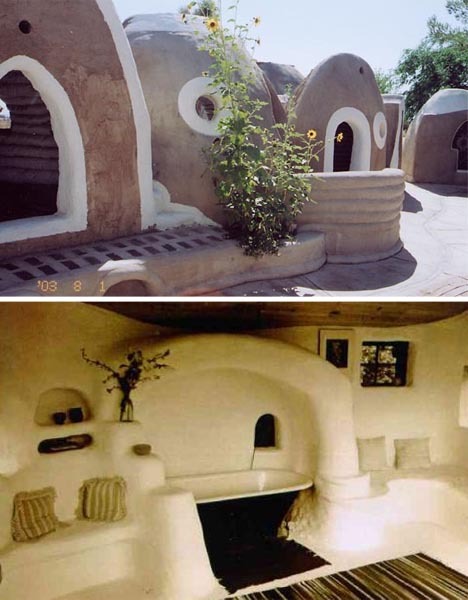 The end product reflects not only the more universal properties of sand-and-dirt-built structures but also can indicate individual stylistic preferences and regional building practices. 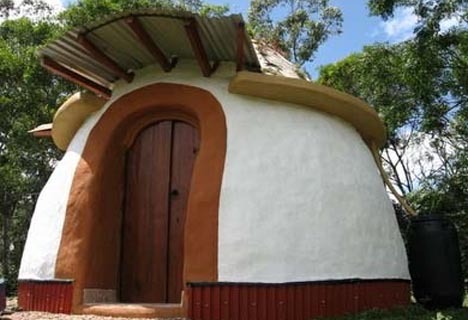 The final appearance is generally curved, organic and assymetrical - not things we are used to in home design - but invariably are anything but boring. 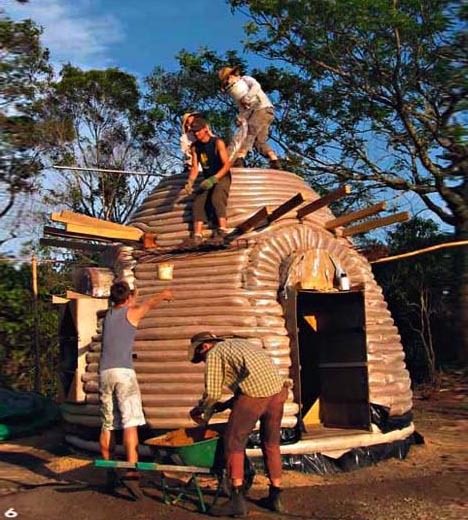 All in all, they have a great deal of expressive potential for something so cheap, easy and fast to build - if nothing else as an eccentric guest house or secondary rural cabin.